RICH, in striking capital letters, scared me away several times. 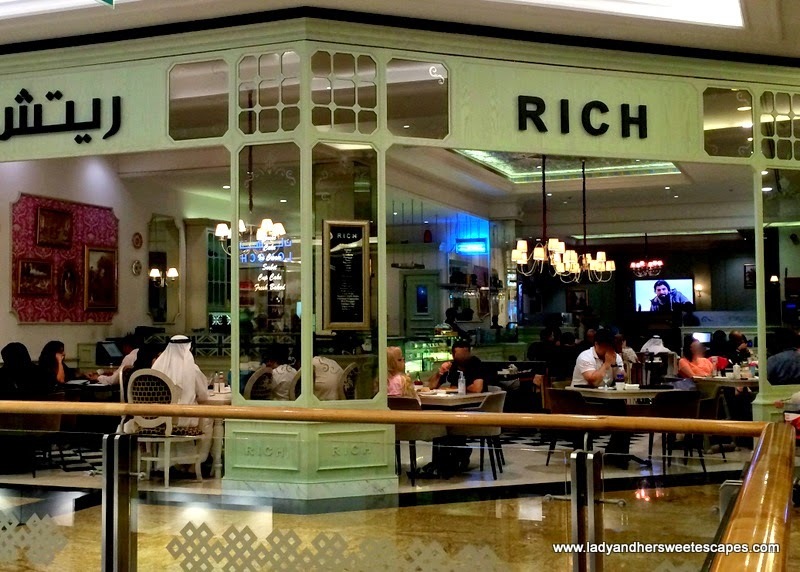 I'm talking about RICH Cafe at Mall of the Emirates. It is very inviting and certainly charming, yet its posh name sounds like a nightmare to the food budget. So, I often wince and walk straight to the food court. It was only last Saturday that I noticed the cafe's buy1get1 coupons in my precious Entertainer book! Why haven't I seen it all along? The voucher made me a little braver to finally check what RICH has to offer. Ed and I settled in a couch at the far end of the cafe; quite far from the pastry counter that I have been eyeing, but an ideal spot to have a fancy intimate dinner. We were pleasantly surprised when we saw the prices on the menu. RICH is not just for the rich people! 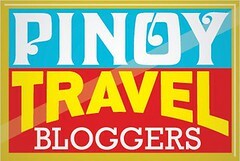 It is actually more affordable than the popular cafes in town! Although there are a lot of Union Jacks displayed in the counter, RICH offers multinational cuisine. Ed was stuck in the page of pizza and pasta (as always), and I was enticed by the crepes. But as the walls are adorned with images of the Victorian Era and the menu states "RICH of London", we eventually decided it would be a night of British Food. Ed had one of Britain's comfort food; The Yorkshire Pudding, not the traditional one but a sandwich version of it. Instead of little cups, the pudding is in a form of a wrap. It is freshly baked and filled with tender roast beef, rocket leaves and tangy sauce. We both love the modern take on the British classic! The serving is huge that we actually shared half of it and took home the other half! I love pies! And RICH's Braised Chicken Pie is the most savory I've ever had. It may look simple, yet it's so heavenly that I had to say "hmmm" in every bite. My reaction made the husband so curious, he reached out for a portion and immediately got my point. It's the buttery puff pastry! It's the tender chicken pieces and wild mushrooms! It's the rich and creamy sauce! It's simply because everything on my plate is utterly delicious! I couldn't leave without paying the pastry counter a visit. I came back to our table smiling from ear to ear. And moments later, a wait staff delivered the French Macarons I spotted.... faultless and oh so perfect with a cup of English Tea! Can't blame you for thinking that the food is expensive, the place looks like an expensive cafe.